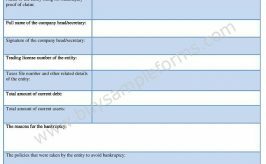 This form is used when a mistake is made while filling a bankruptcy petition. The debtors generally resort to bankruptcy amendment when they have not included a forgotten debt or when they have forgotten to claim exemption for a property in which they are entitled to claim an exemption. 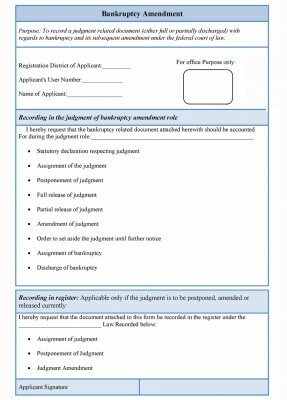 Bankruptcy process allows the person to amend the petition however if the amendment is not made in time or the asset was a significant asset and it appears that there was a deliberate attempt to hide it, the bankruptcy trustee may deny the discharge, dismiss the petition or refer the matter for investigation under bankruptcy fraud. When you file for a bankruptcy and receive a discharge only the debts that you have included in your bankruptcy petition will be discharged. There is no court filling fee associated with the amendment filing apart from potential fees for debtor’s counsel. 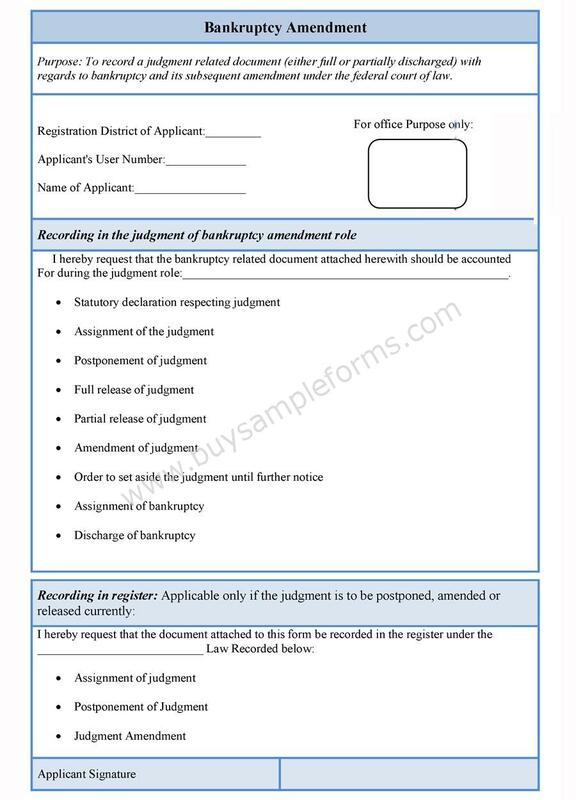 This form includes information about the exact nature of the error. It is advisable to consult an attorney before filling in the form. 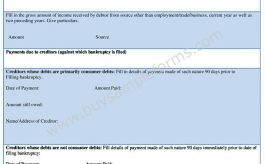 Below is a sample of Bankruptcy Amendment form. 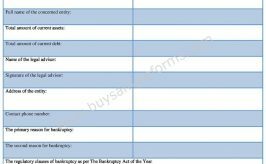 The sample format of Bankruptcy amendment template is available online in both MS Word and editable PDF format. You can edit and customize this form as per your needs.